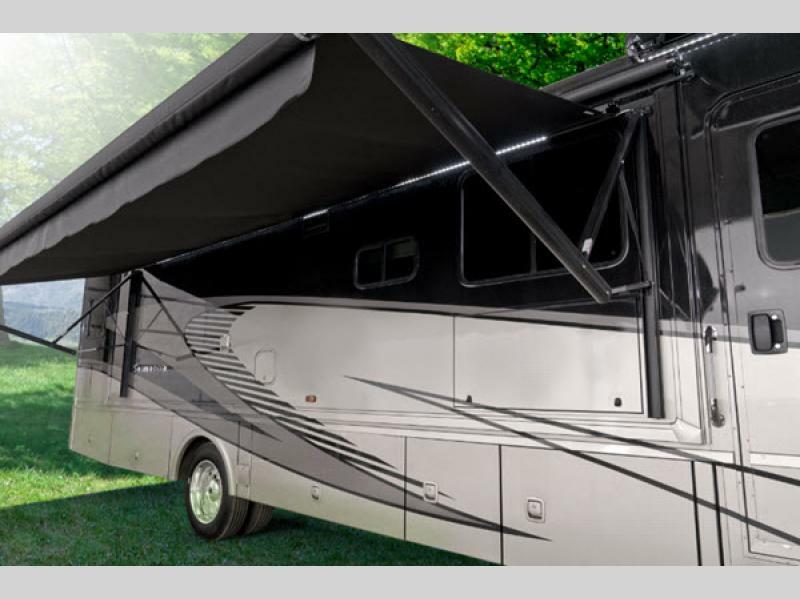 Come see it all with a new Winnebago Sightseer Class A gas motorhome. 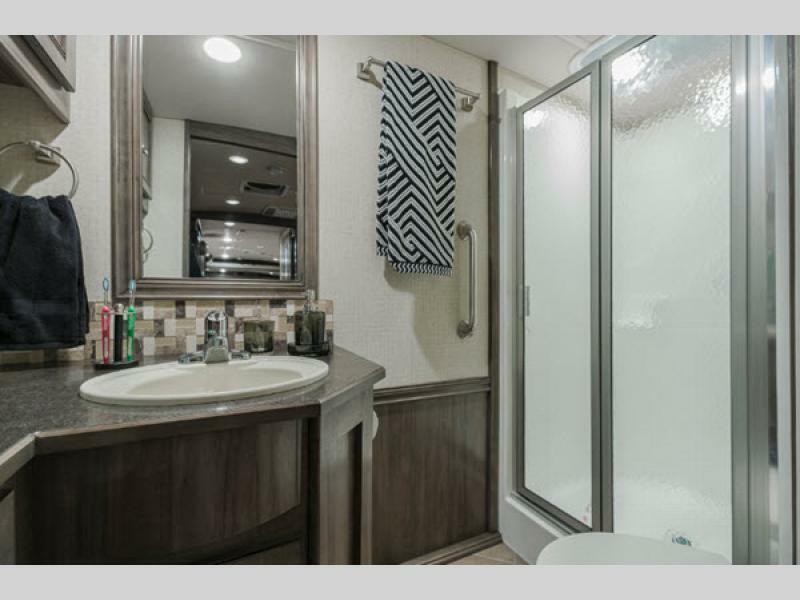 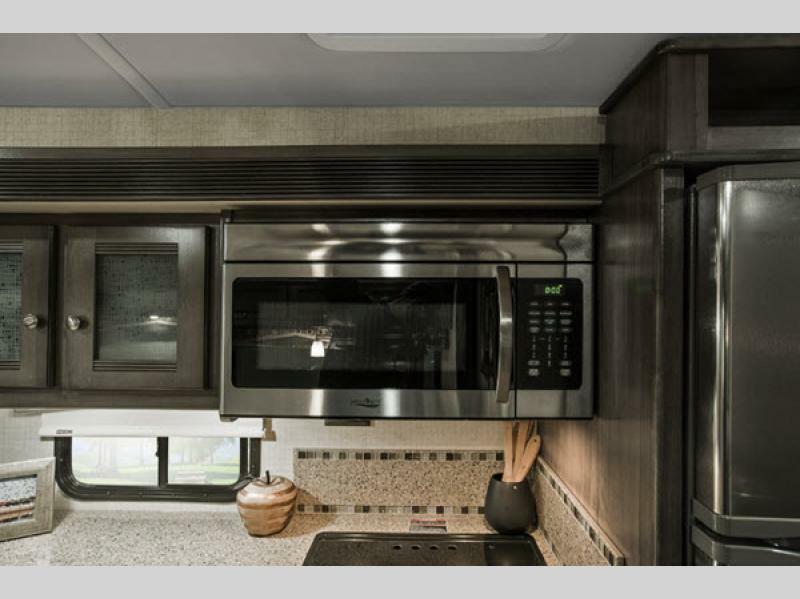 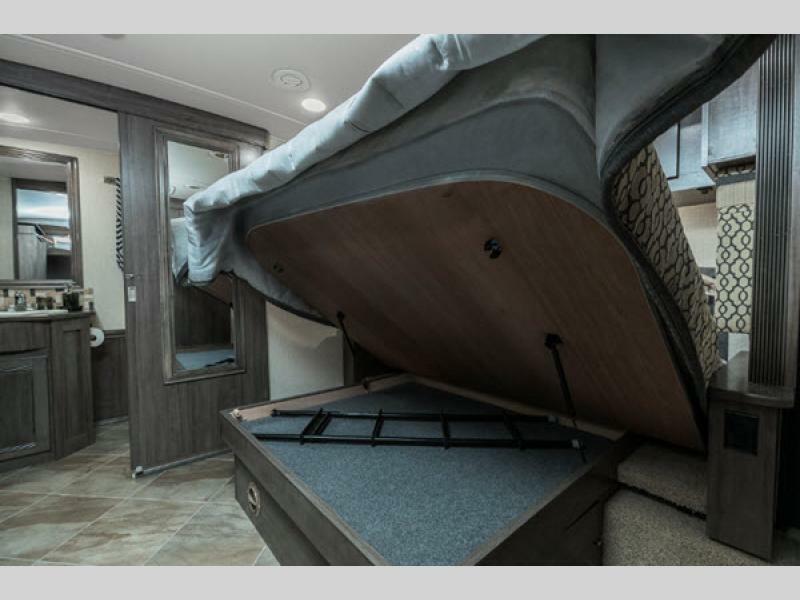 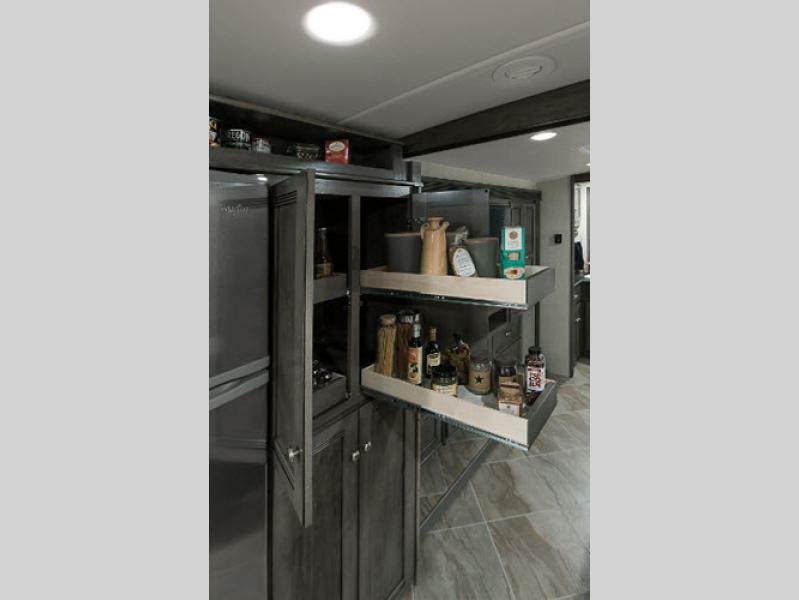 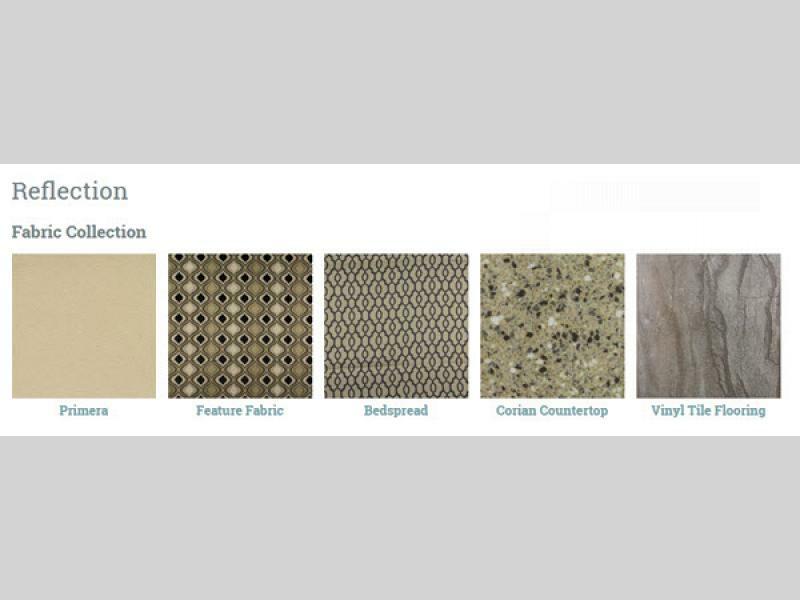 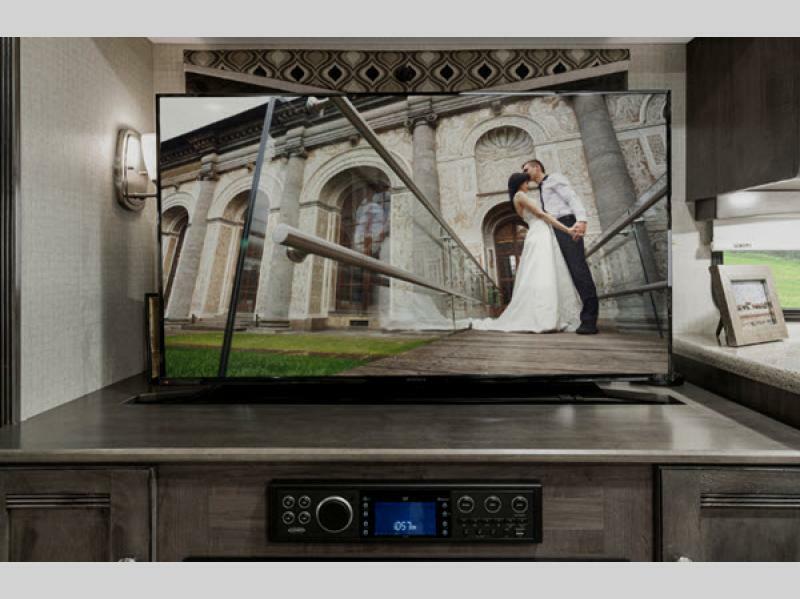 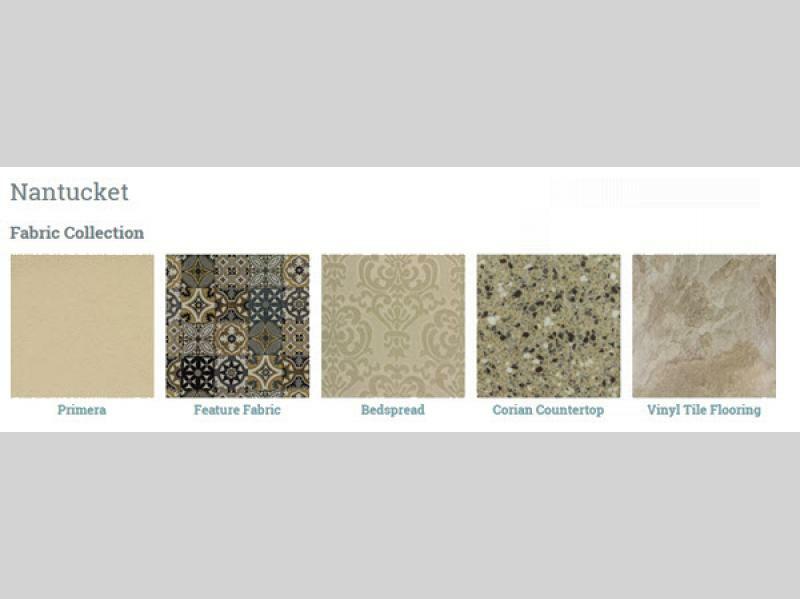 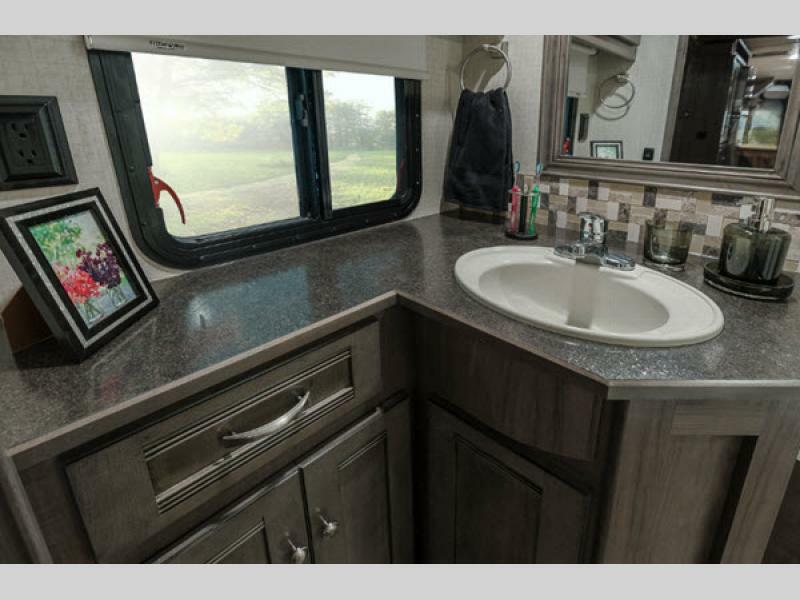 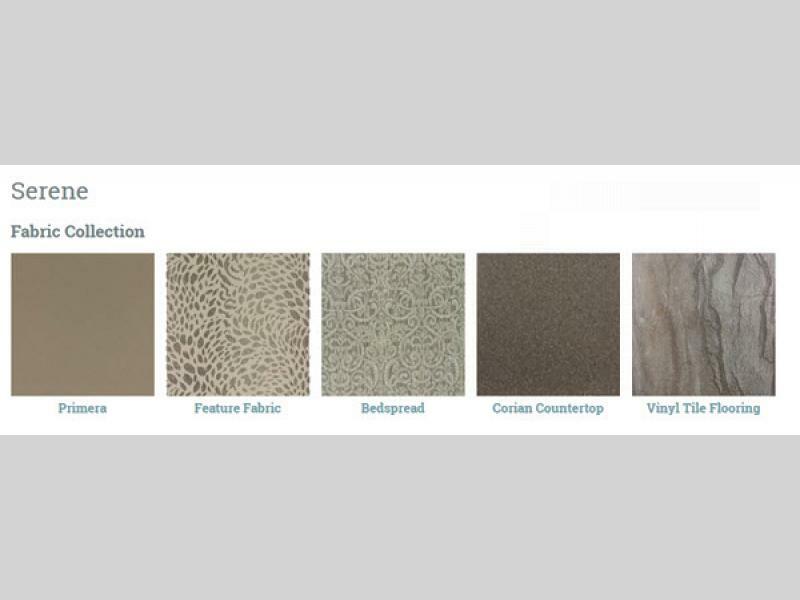 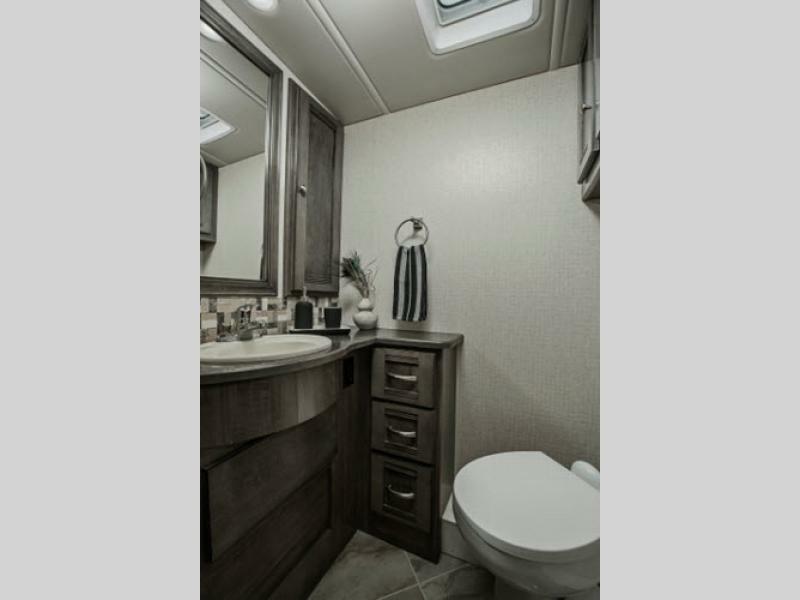 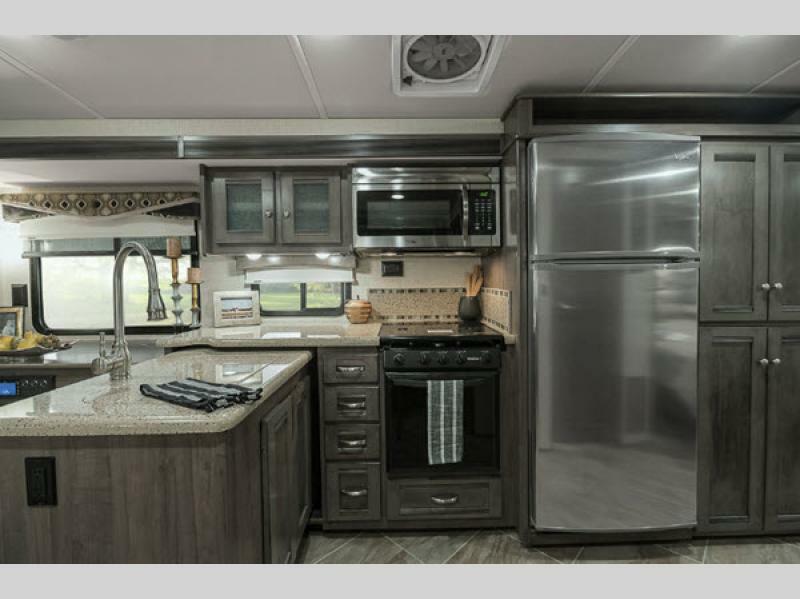 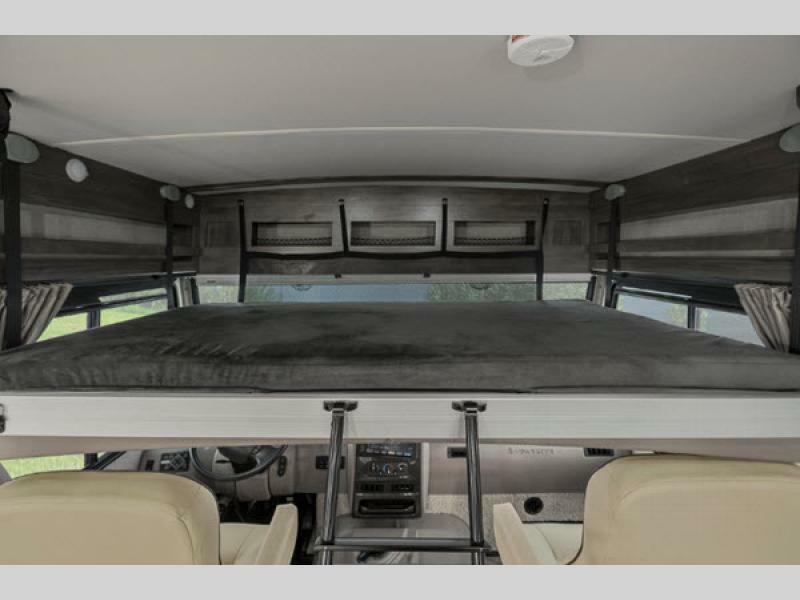 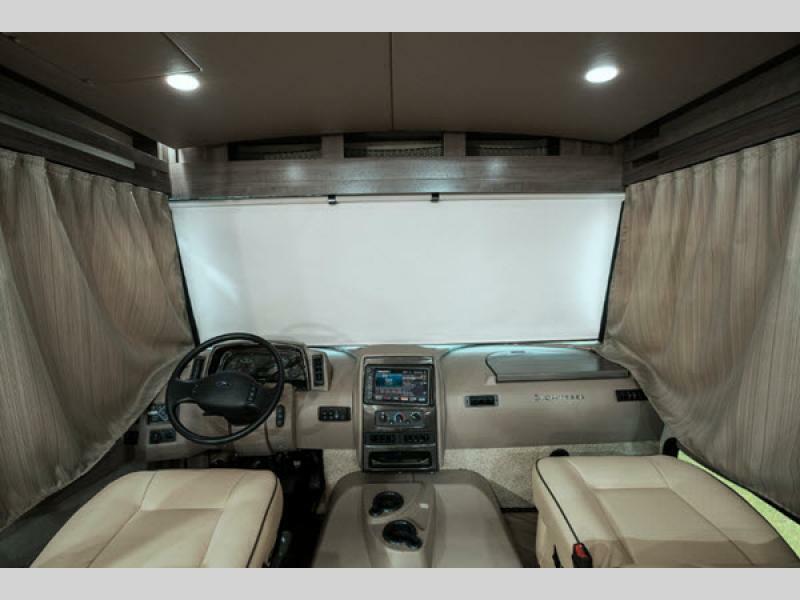 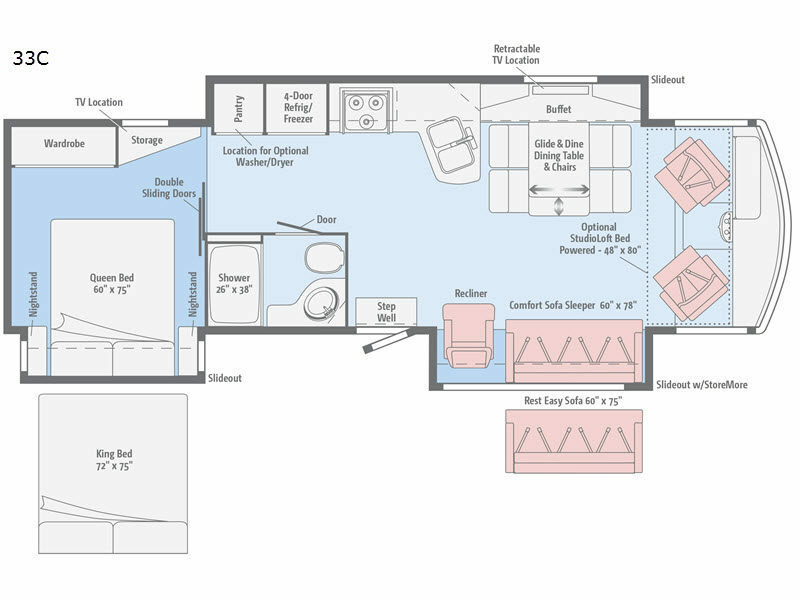 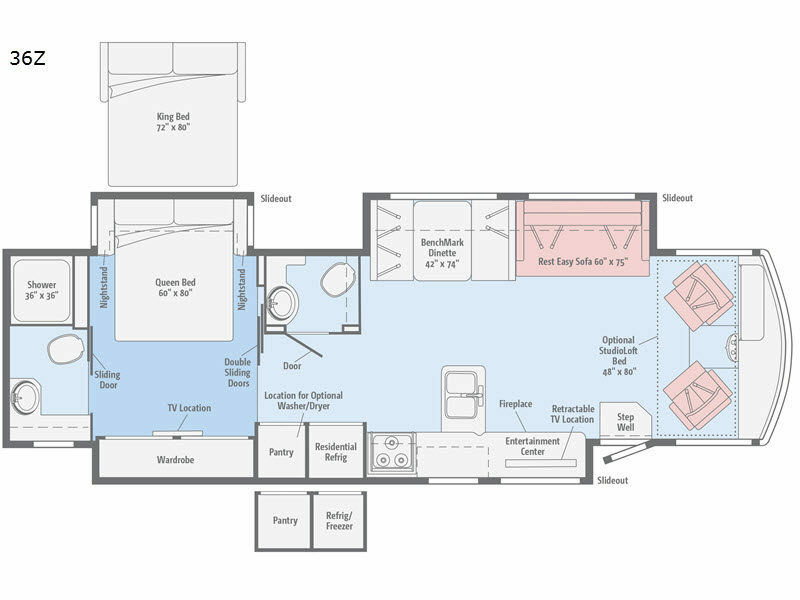 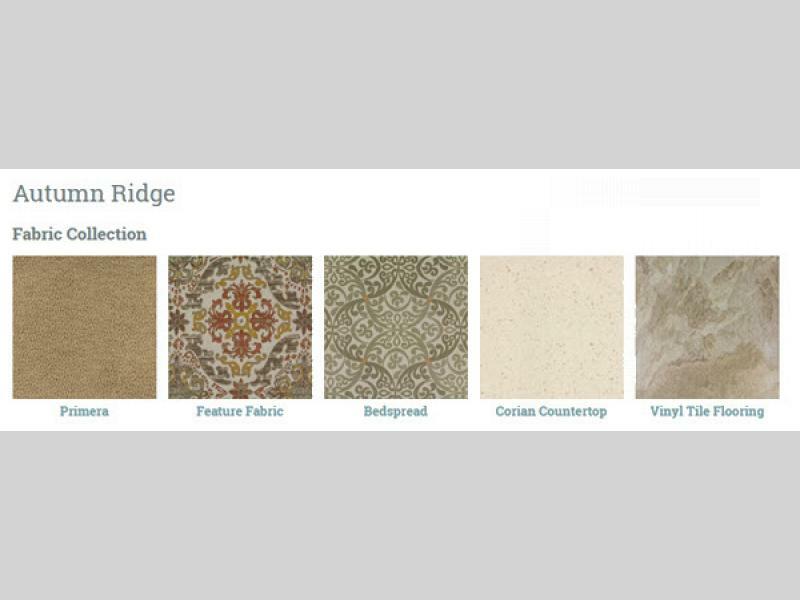 You will find quality Winnebago construction, along with thoughtfully-selected upscale features that will make each adventure relaxing and enjoyable. 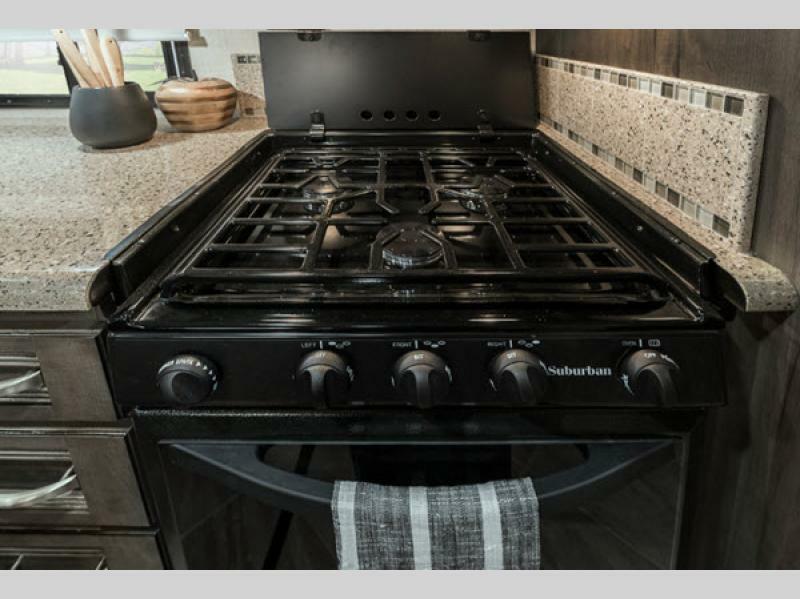 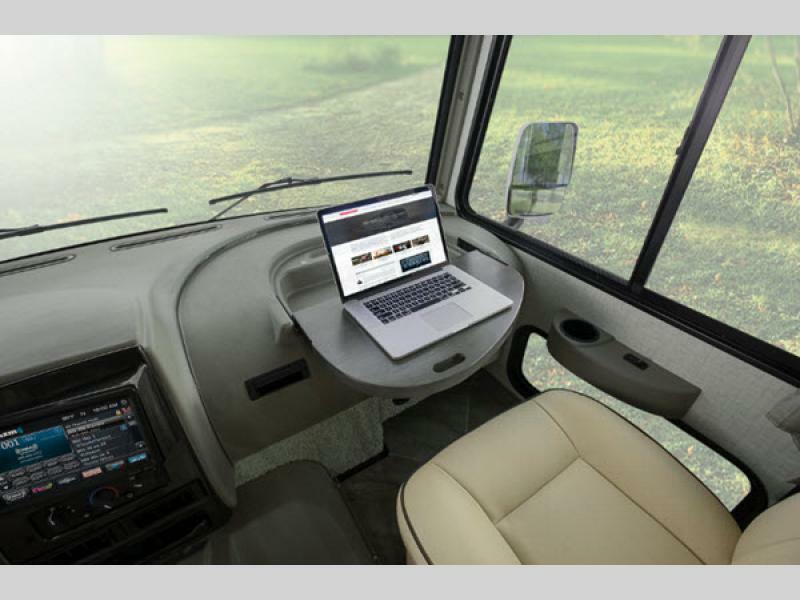 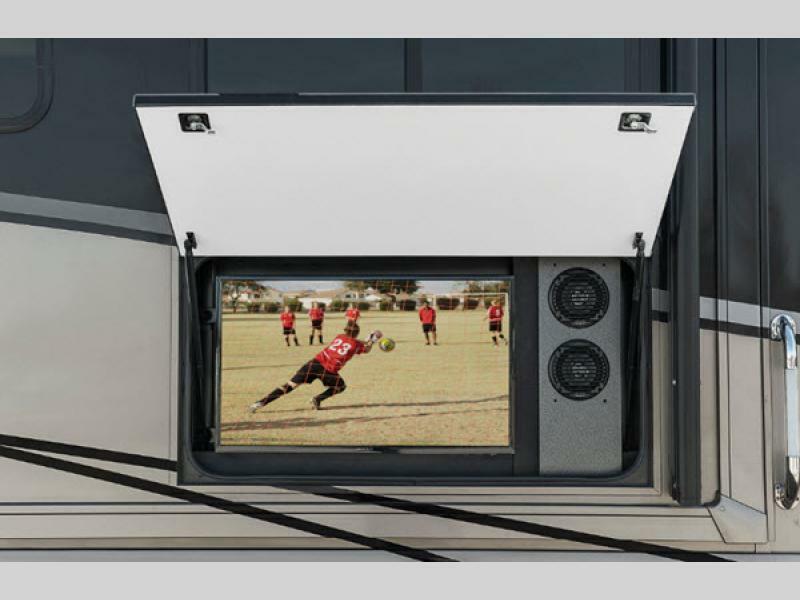 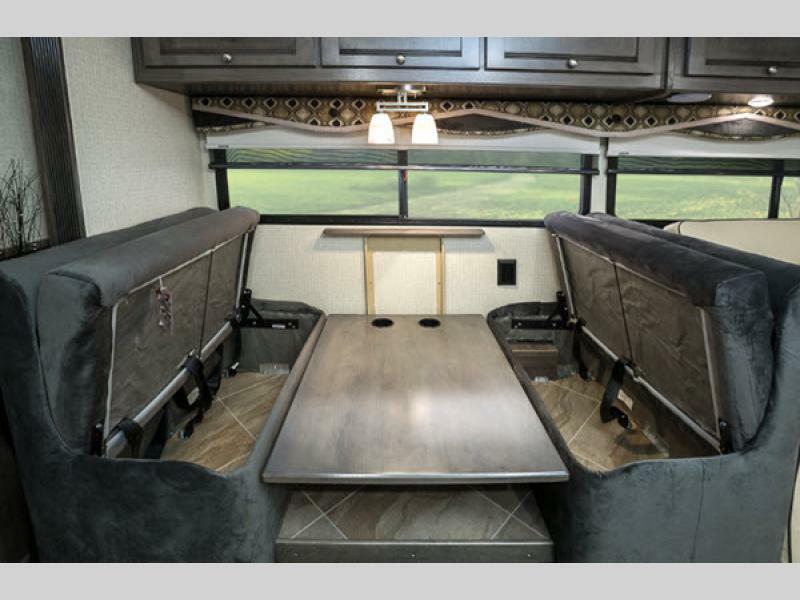 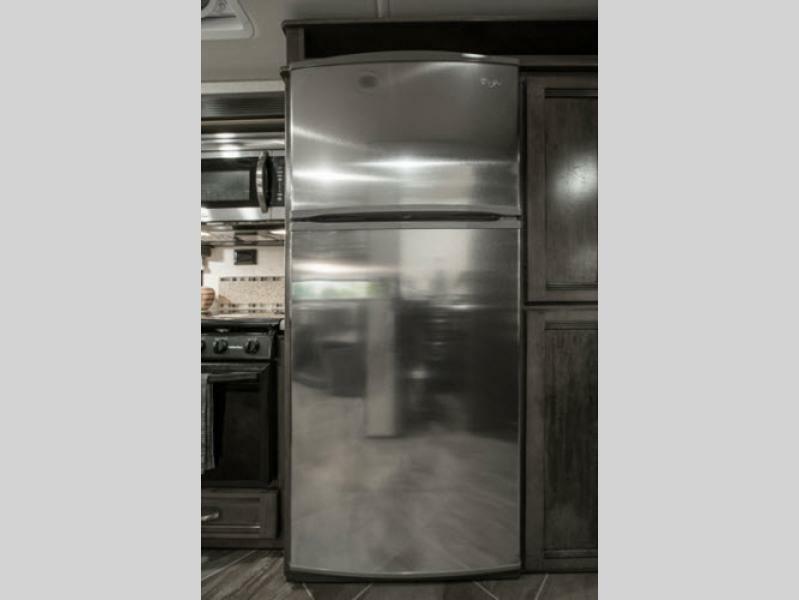 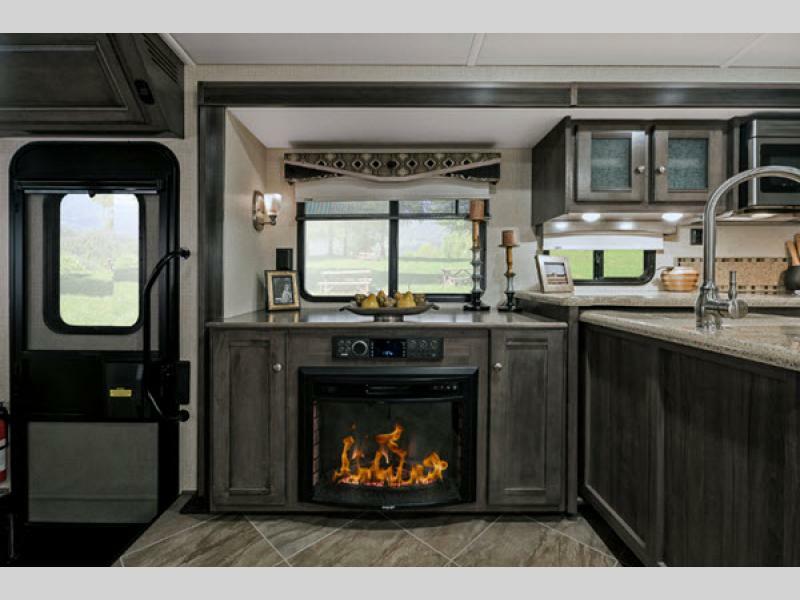 With each of these triple-slide models, you will enjoy features such as Corian galley countertops, cab seats that slide, recline, and swivel, a dash workstation with USB and 12 Volt powerpoint, and a 10 gallon 110 Volt/LP water heater. 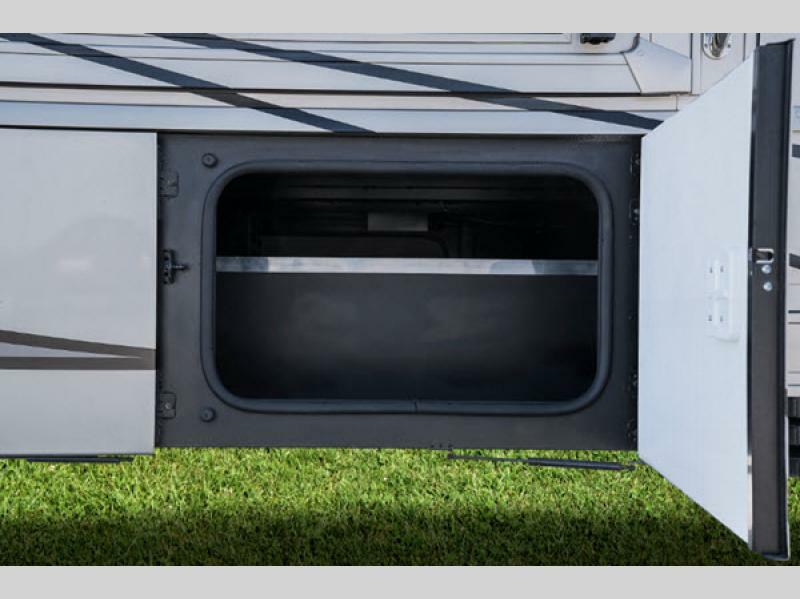 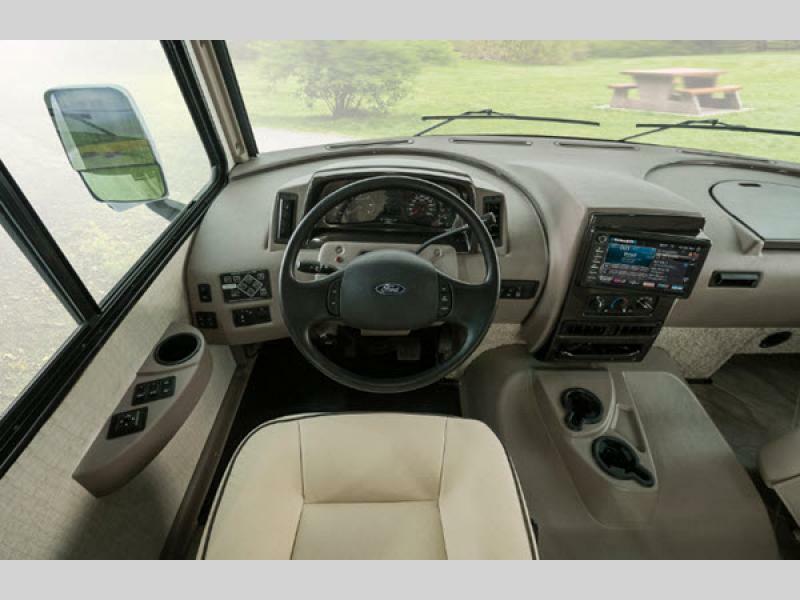 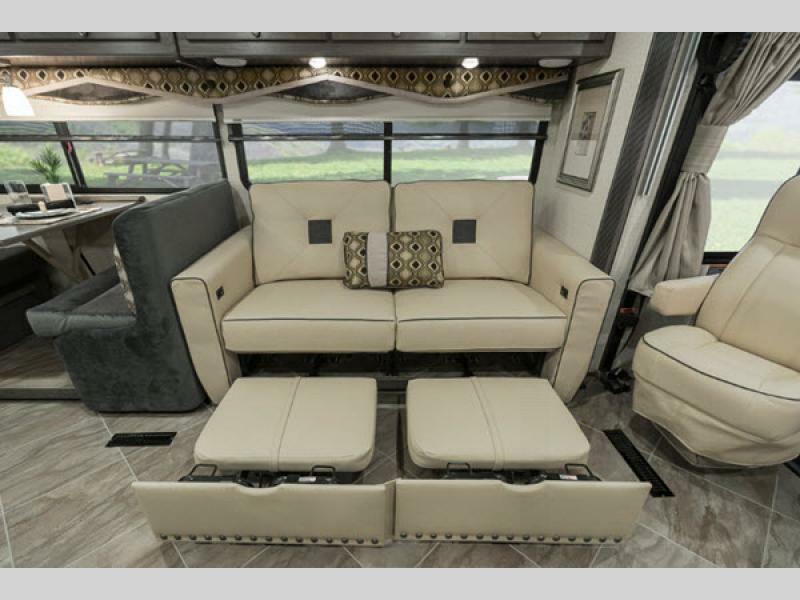 With the 6.8L Triton V10 engine, one-piece fiberglass roof, premium high-gloss fiberglass skin, KeyOne lock system, lighted storage compartments, and Cummins Onan Marquis Gold gas generator, you can enjoy your Sightseer anywhere! 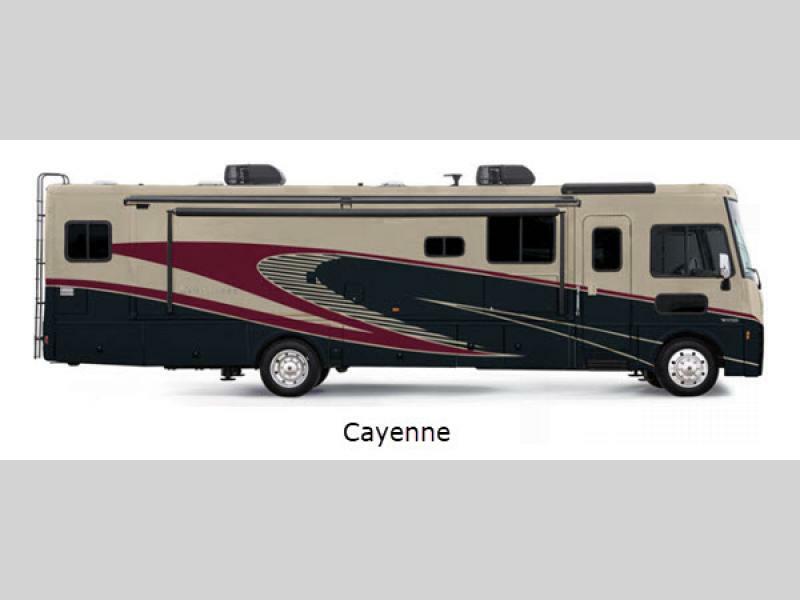 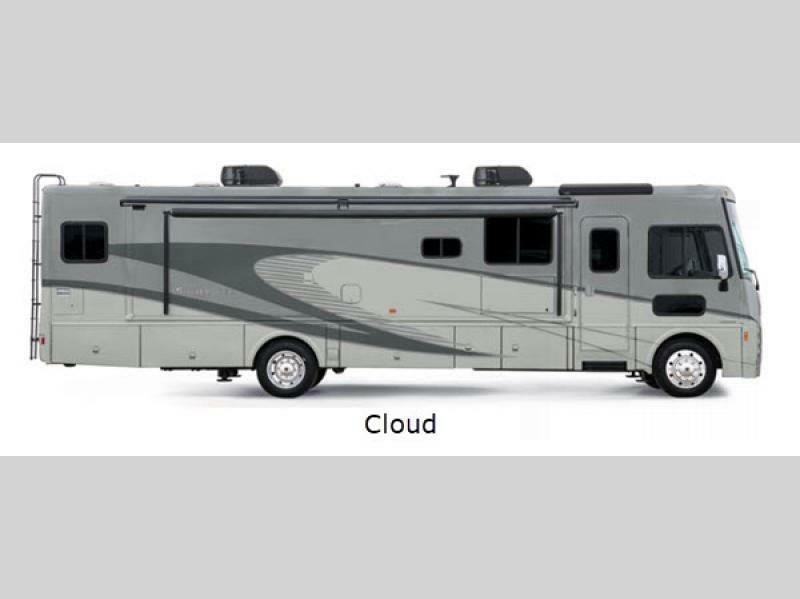 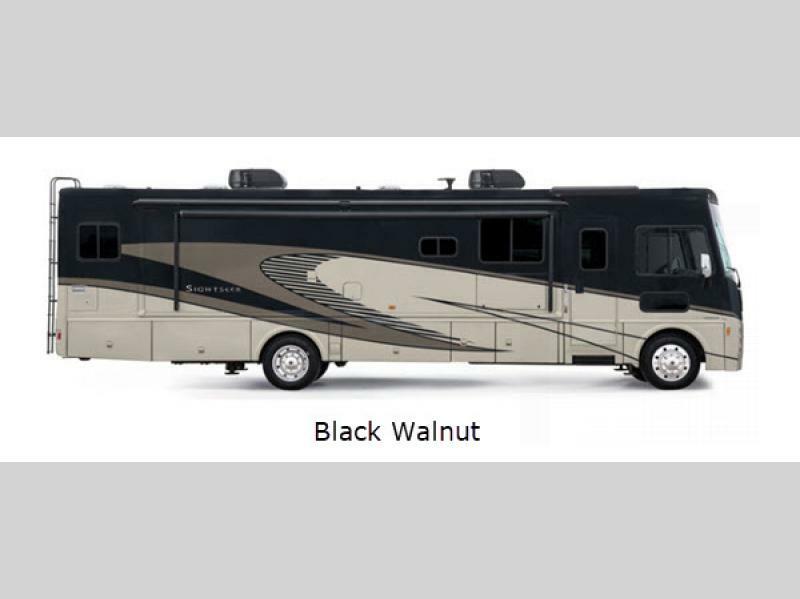 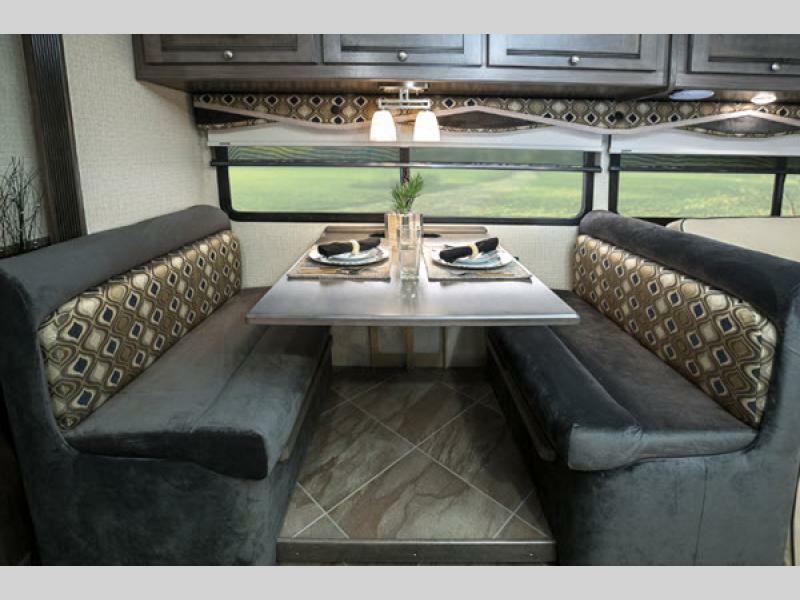 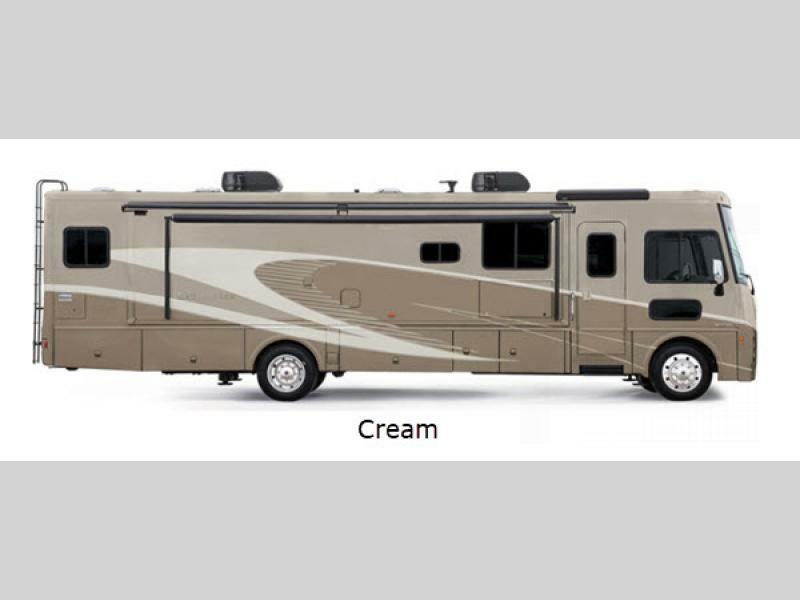 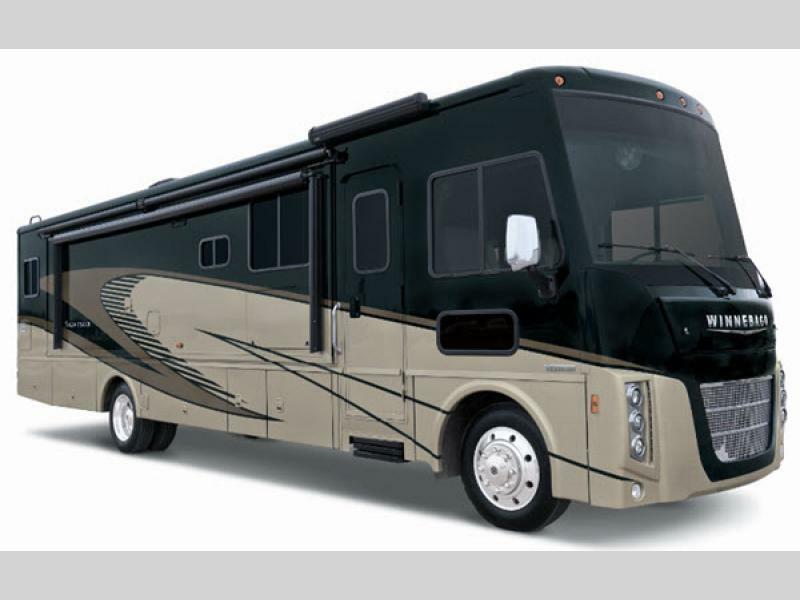 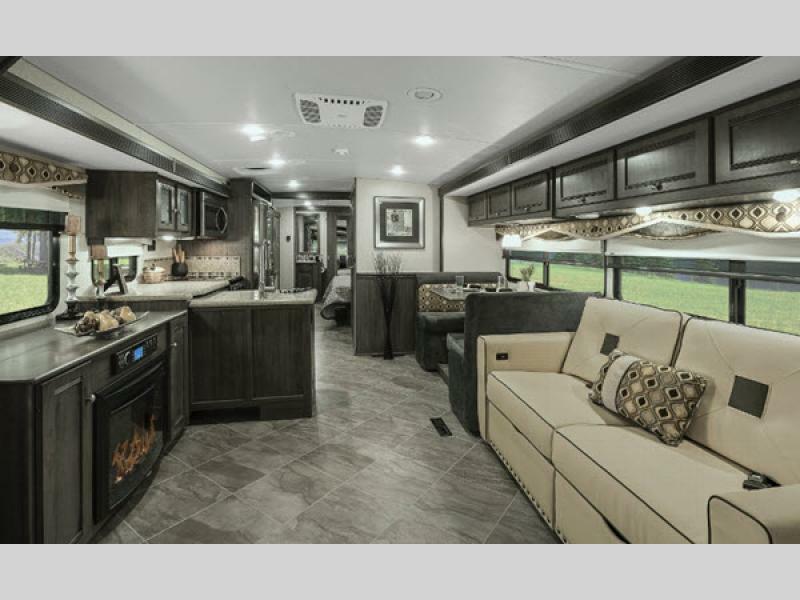 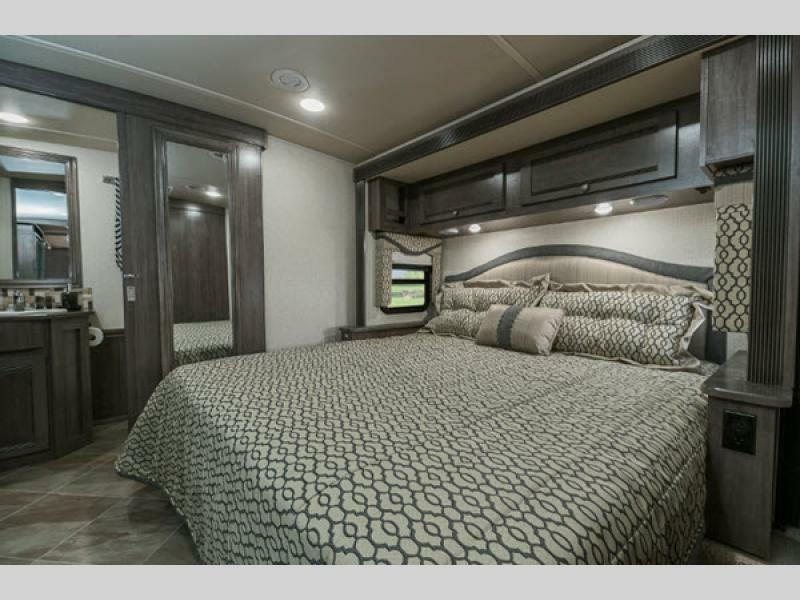 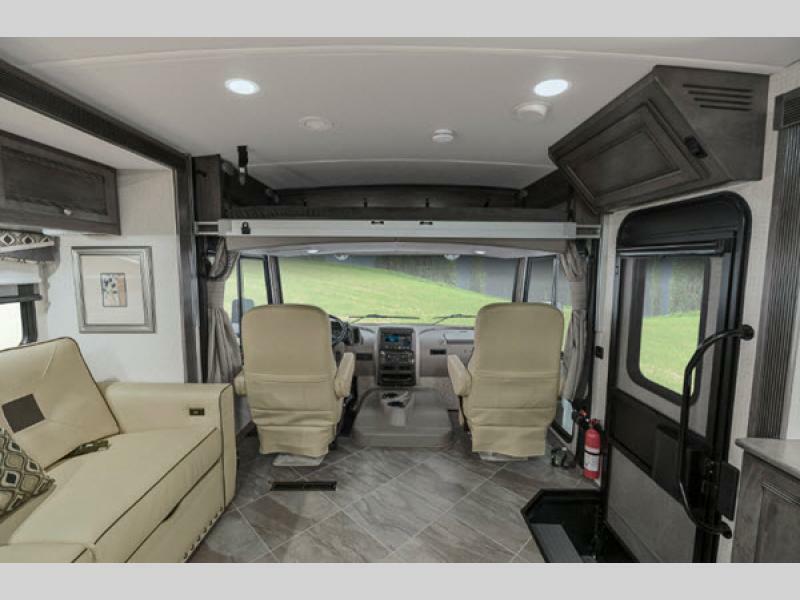 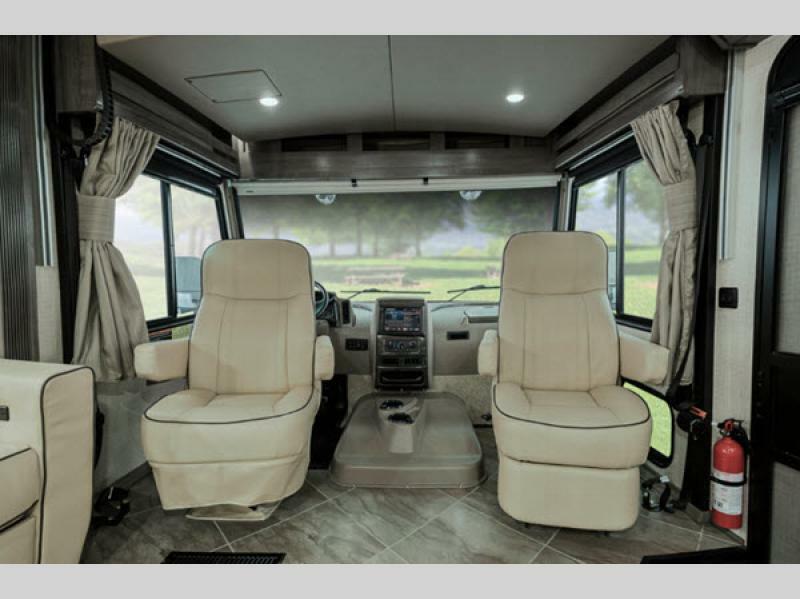 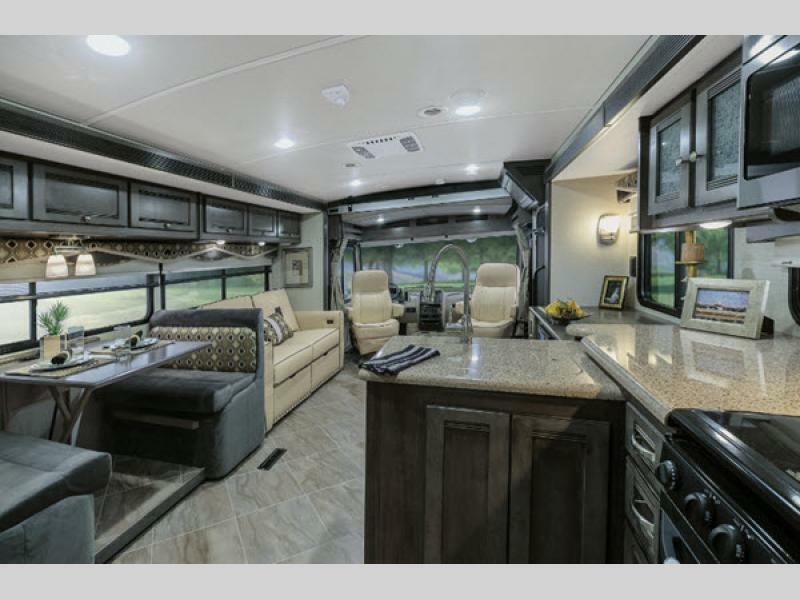 So why not set your sights on fun-filled days and relaxing evenings with one of these luxurious Winnebago Sightseer Class A gas motor homes! 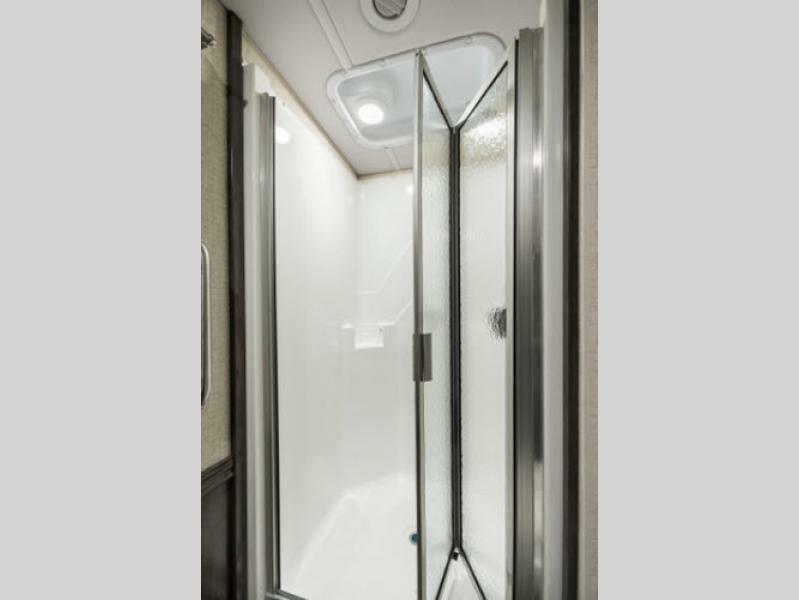 Shower Size 26' x 38"
Please see us for a complete list of features, available options, and warranty information!